Help end the stigma, then raise awareness about addiction treatment and overdose prevention. Yesterday, The New York Times reported on new lawsuits against Purdue Pharmaceutical and the Sackler family, which accuse the company of knowing about the dangers of the prescription drugs that caused the ongoing nationwide opioid crisis. In recent weeks, the Sacklers have agreed to pay settlements to states ravaged by opioids, and their names have been removed from prominent museums, but the crisis continues. 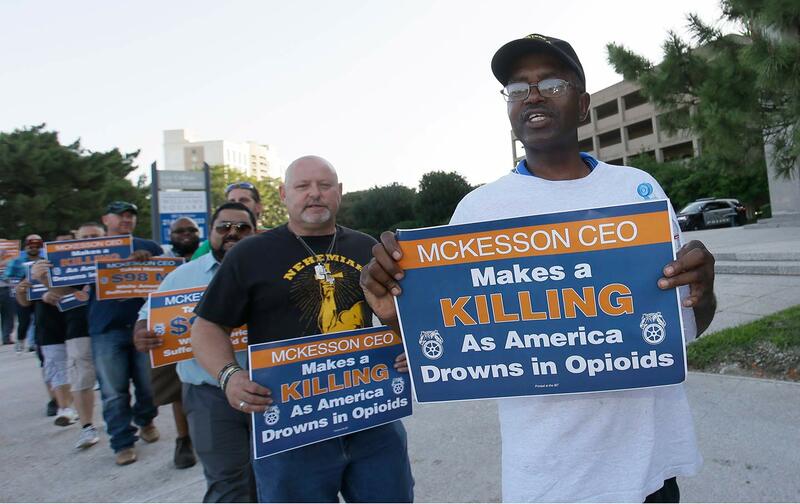 This week’s Take Action Now gives you ways to fight the spread of opioids both through federal policy and in your own communities. Families are legally entitled to seek treatment for addiction, but many insurance companies refuse health care to those struggling with opioids. This denial of care is a key contributing factor behind the hundreds of opioid deaths that occur each day in the United States; sign this petition to demand an end to this practice. One of the best things you can do to help opioid victims around you is get trained to use naloxone, a critically important drug that can help stop overdoses as they happen. For a small fee, you can learn how to administer the cure and order naloxone to carry in case of emergencies. You can also share your story of recovery or support to raise awareness of how widespread the problem has become, and encourage people around you to do the same. The opioid crisis won’t be overcome unless affected communities work together to stop it. The National Safety Council has created a community-action toolkit that you can use to organize public-education campaigns in your town and city; you can also get involved with an existing campaign to raise awareness of addiction and recovery resources around you.